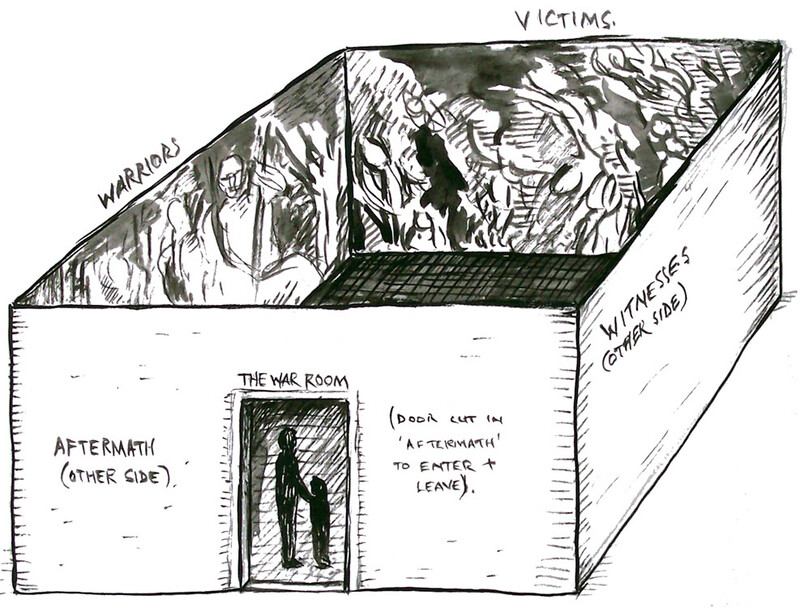 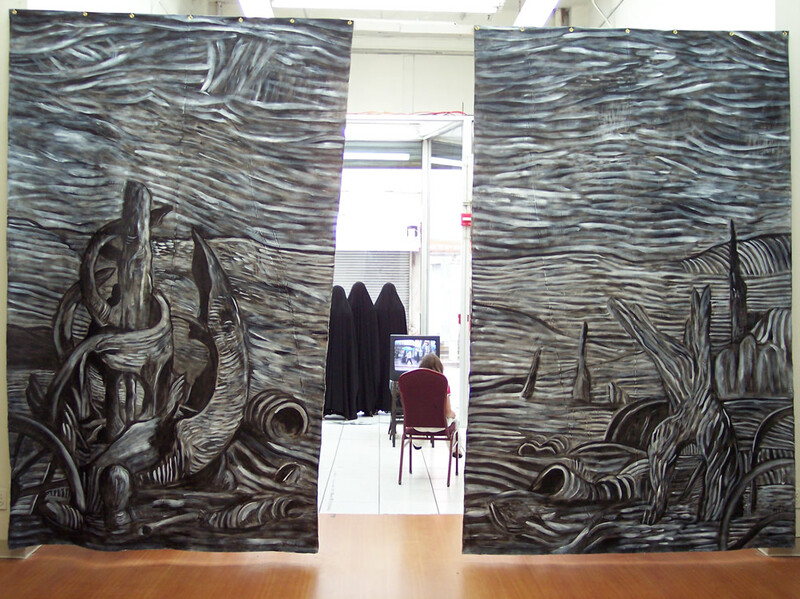 The War Room is an immersive painted art installation comprised of four wall-sized canvas panels, forming an enclosed room-like space; each panel depicts four aspects of war: The Warriors, The Victims, The Witnesses & The Aftermath. 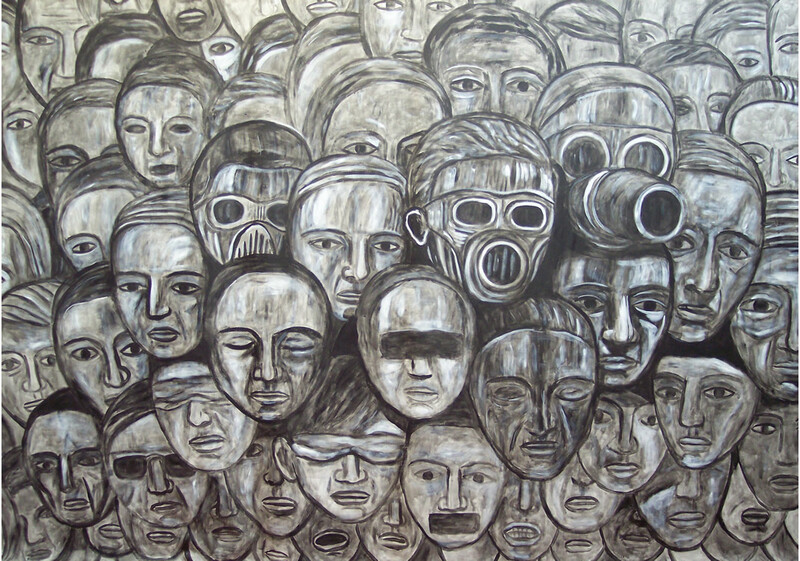 Ayton’s War Room forces a provocative confrontation with the brutal realities and consequences of war. 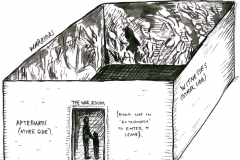 Inside the almost claustrophobic space, intense images engulf and compel the viewer to face fundamental questions of where we each stand in the War Room. 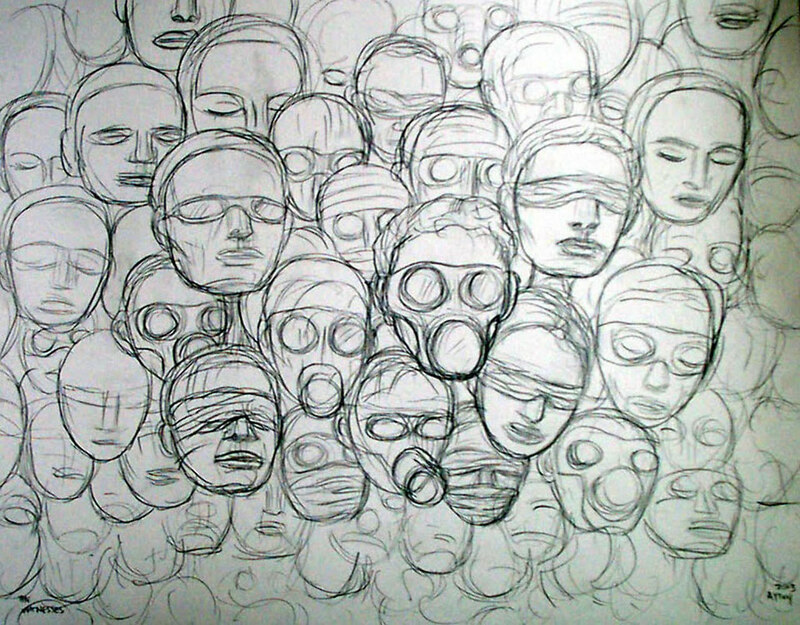 You can’t look away. 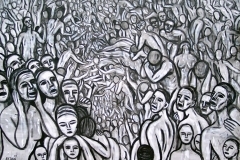 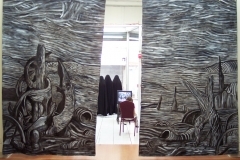 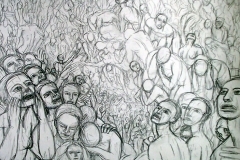 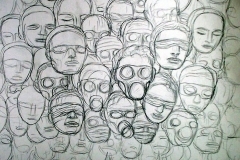 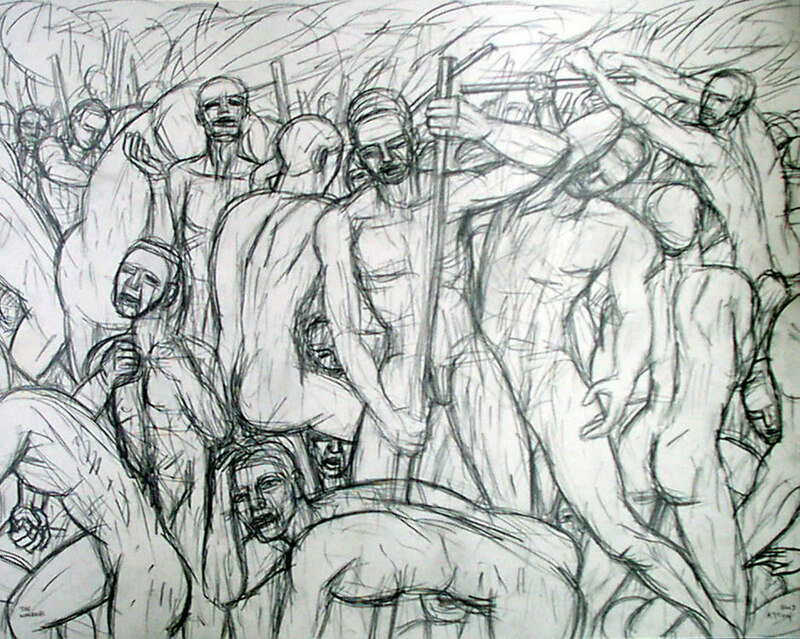 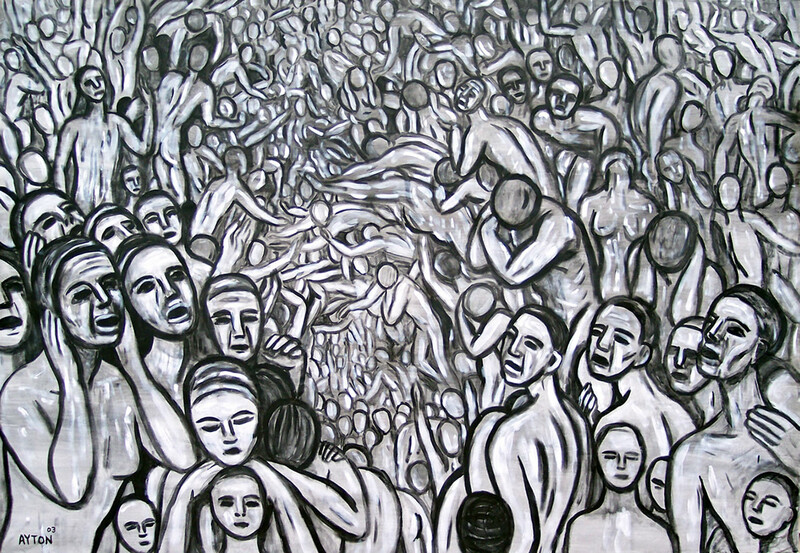 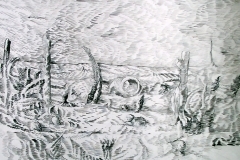 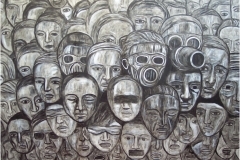 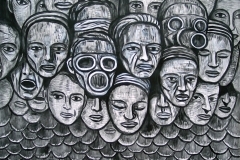 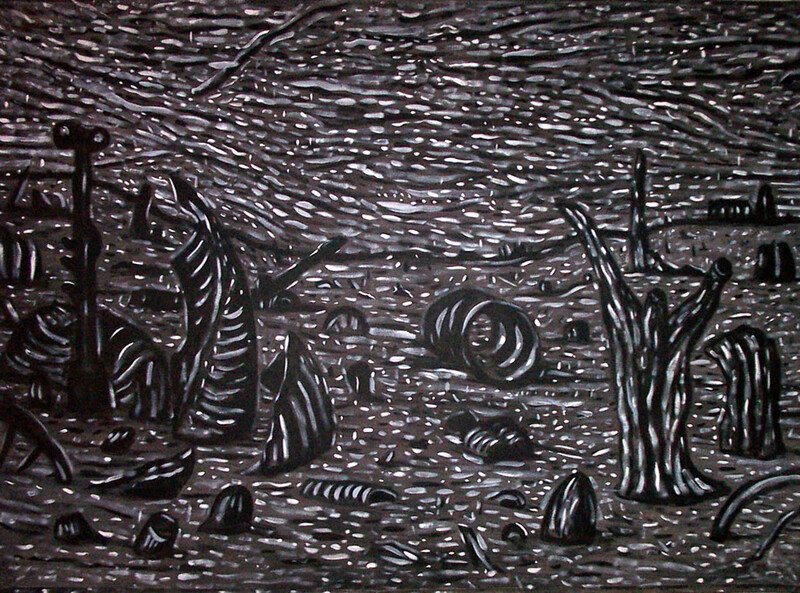 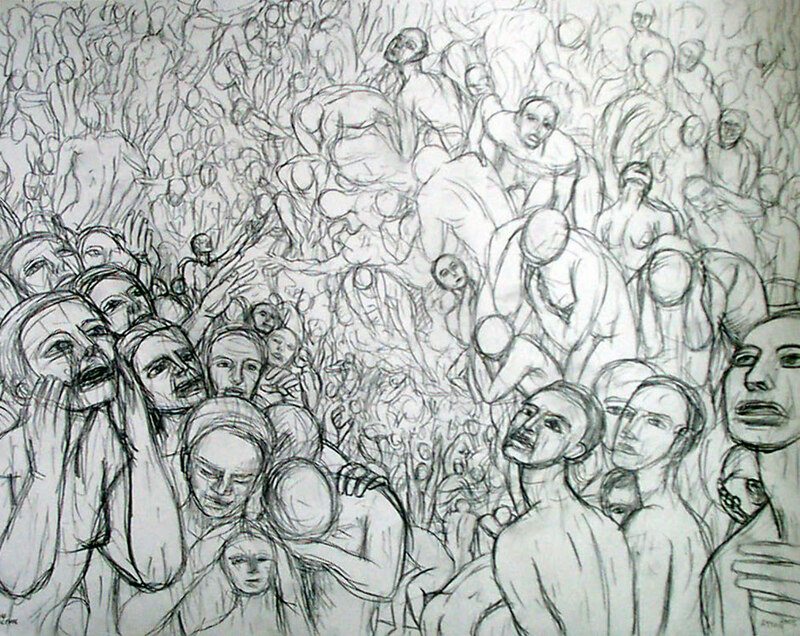 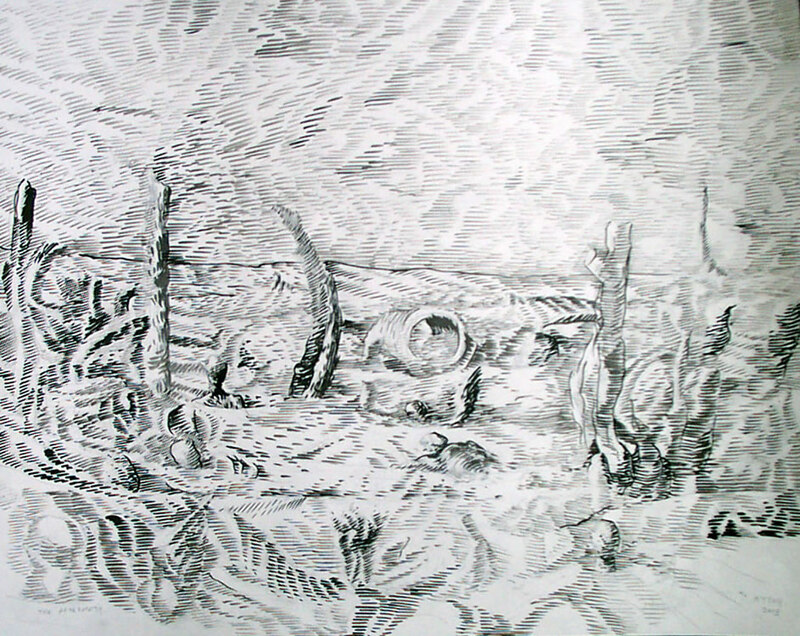 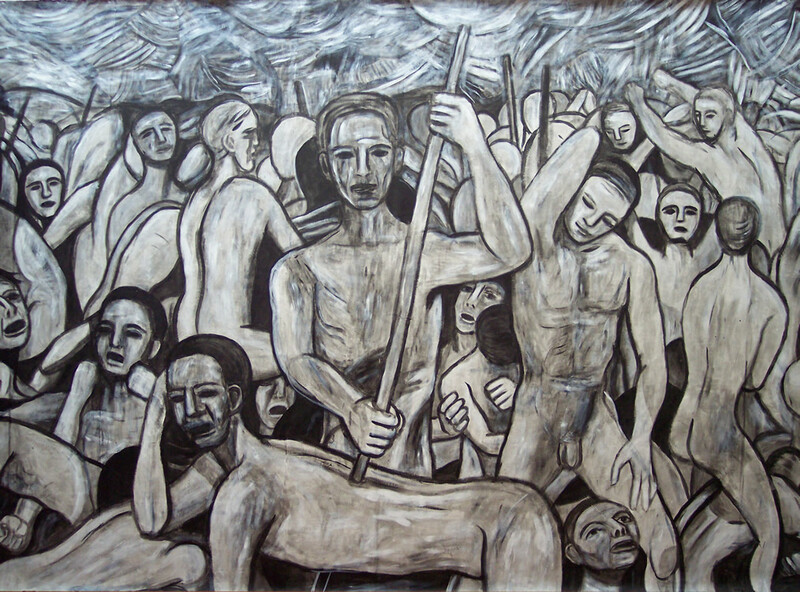 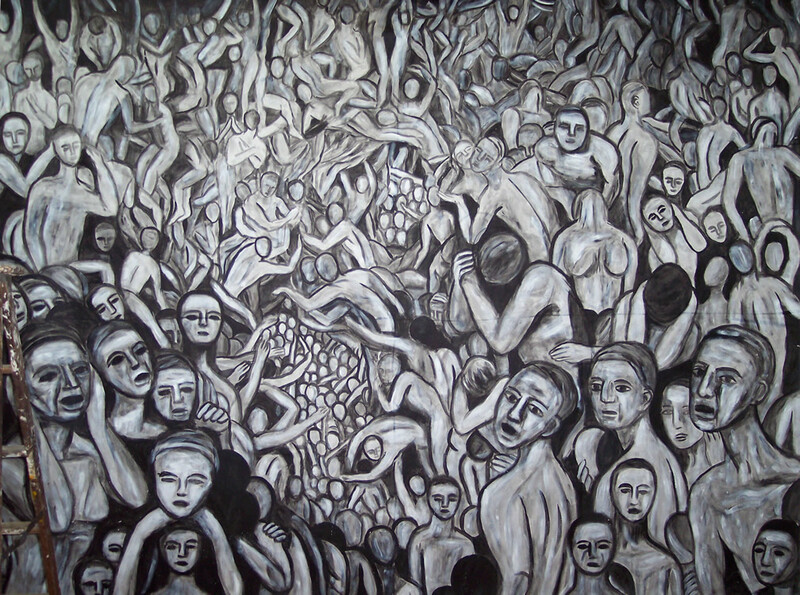 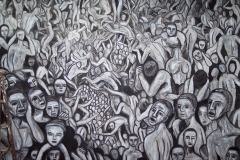 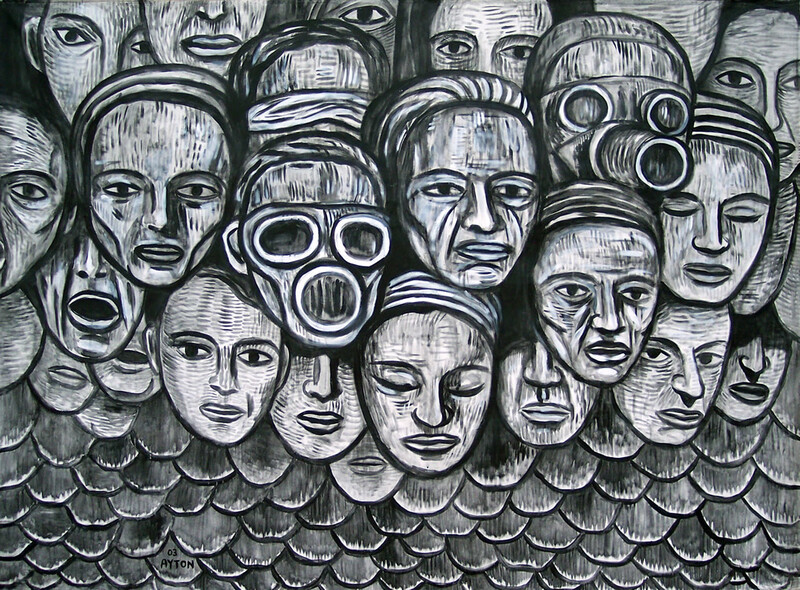 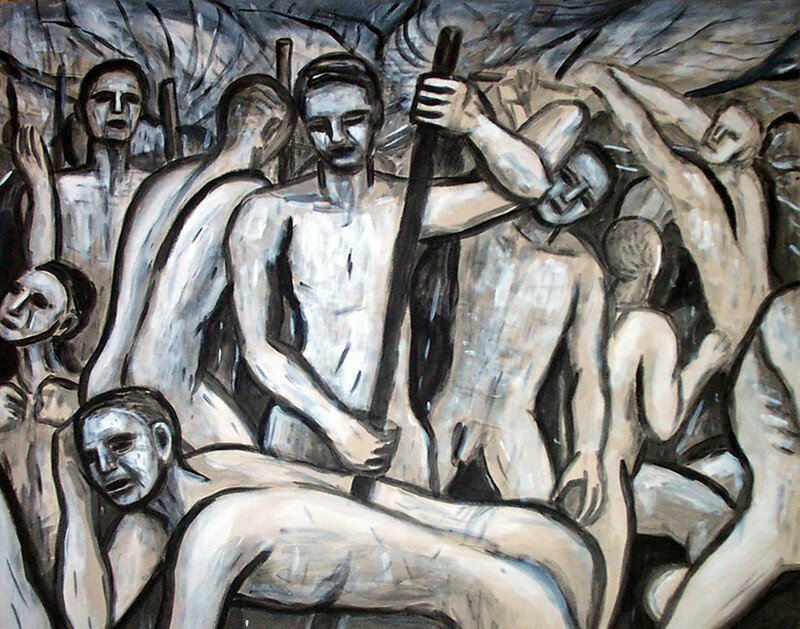 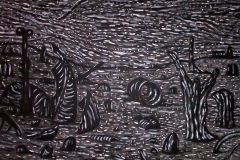 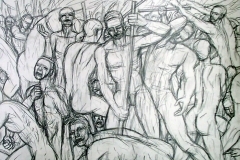 Viewers identify with the powerful and ravaged figures portrayed in the War Room, seeing themselves as warriors, victims, and witnesses; ultimately recognizing the bleak desolation and alienation of the aftermath that all experience in the daily struggle to make sense of these turbulent times.